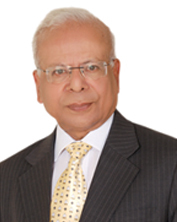 On behalf of the IBA Alumni community, we extend our heartiest congratulations to Dr. Ishrat Husain on being appointed as Advisor to the PM on Institutional Reforms and Austerity. During his long and illustrious career, Dr. Ishrat has brought about transformation of both state and private institutions through his dynamic and visionary leadership. It was during his tenure as Dean and Director that the IBA progressed from a business school to an institution of higher education with state-of-the-art facilities and modern academic programs. IBA’s staff, faculty, students and alumni will forever be indebted to his services rendered for the institution. We wish him all the best on his recent appointment and hope that the new government will seek his wisdom and reform the state institutions for the betterment of its people.